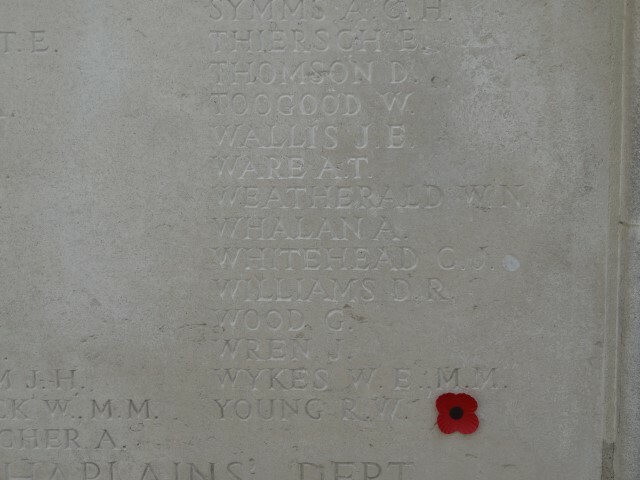 11502 Private William Norman Weatherald, Royal Army Medical Corps was killed in action 9 August 1918 and is commemorated on the Tyne Cot Memorial, Belgium and the St. Helen’s Colliery Memorial Cottages. He was 23 years old Sson of William and Agnes Weatherald. 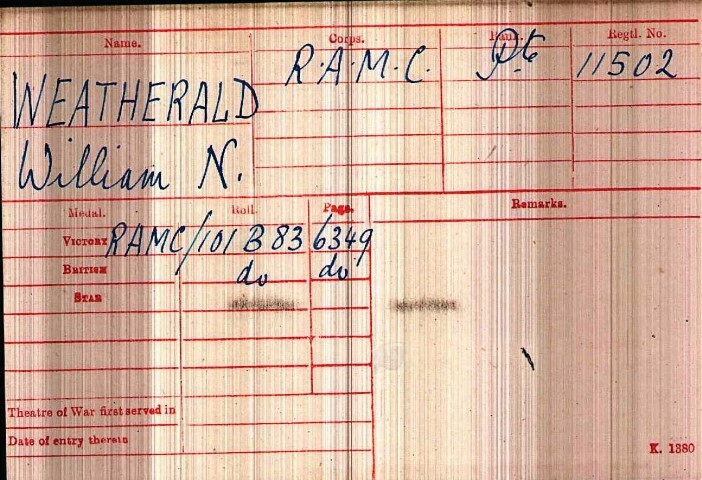 The service records of Private W. N. Weatherald and the war diary of the Royal Army Medical Corps (RAMC) have not been researched. He did not see service abroad before 31st December 1915. 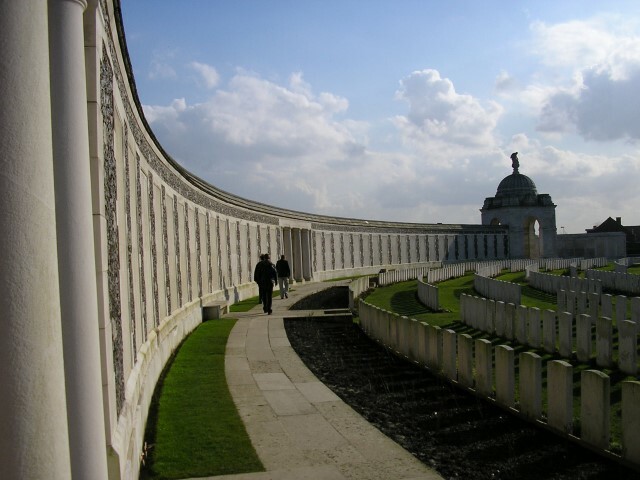 The Allied Advance in Flanders commenced 18 August 1918 and continued in to September thus there was no recognised offensive taking place at this time. It is concluded that Private W.N. Weatherald was a victim of the usual violence of warfare, shelling, machine-gun fire or sniper fire. He has no known grave. 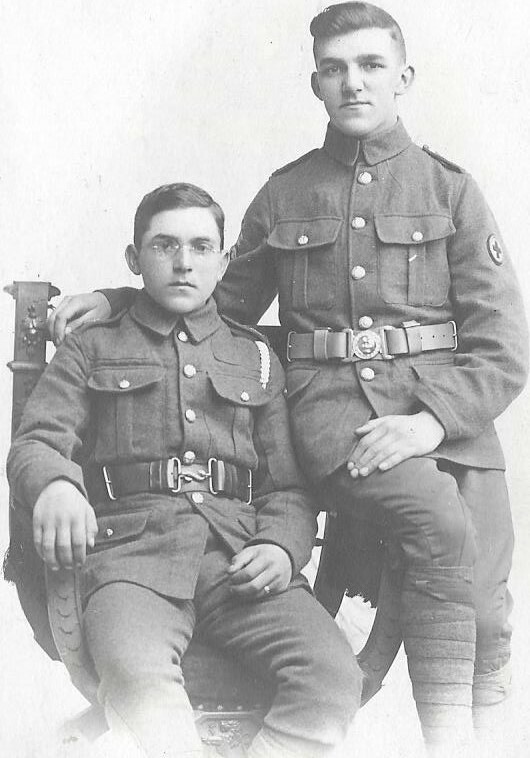 Private W. N. Weatherald was awarded the British War and Victory medals.